1. 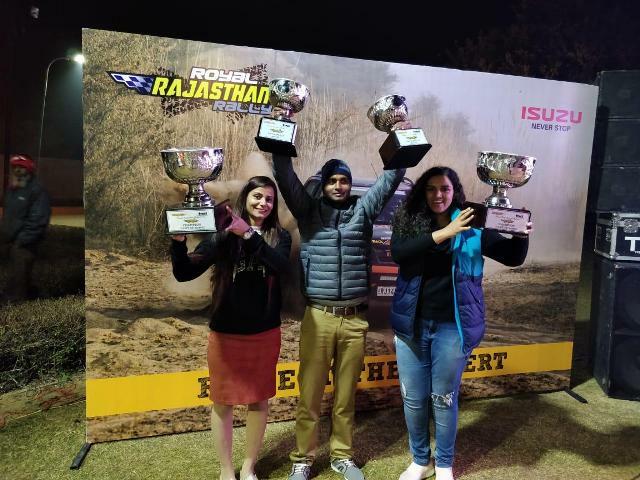 An Off Road Desert Car Rally “Royal Rajasthan Rally-2019” was organised by Thar Motorsports with effect from 04 Jan 19 to 06 Jan 19 for testing the skills of passionate drivers and navigators. This was the first time Thar Motorsports invited Army for feeding teams in the desert Rally. Two teams from Army Service Corps participated in the rally. 2. The rally was conducted on TSD pattern covering more than 750 Kms over three days in general area Achrol - Chandwaji - Nawalpura - Bishangarh - Amarsar - Arniya - Kishanpura - Doongari Kalan - Banshipura – Chosla -Mohanpura - Sambhar Lake. It covered desert tracks, dunes, boggy ground, Sambhar Lake, gravel etc which was a highly challenging for drivers and navigators. Total of 60 Teams participated in the Rally in various category viz. Upto 1600CC 4x4, above 1600CC 4x4, Coupe De Dames, Amateur, Luxury Car, Couple, SUVs, Rally Preparation Vehicles etc. 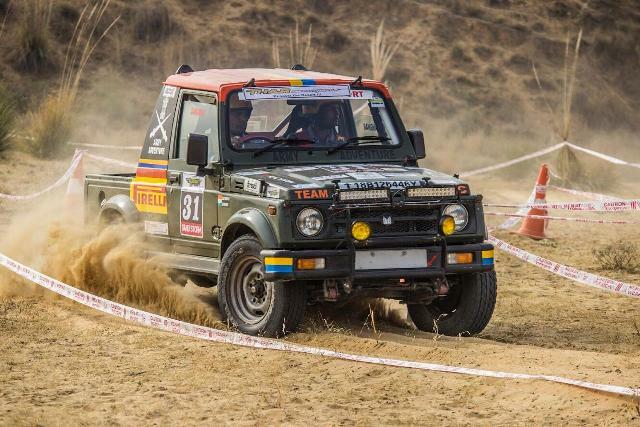 Teams of Army Service Corps participated in “Upto 1600CC” category under Amateur and ‘Coupe De Dames”. 3. The Army Service Corps teams performed well and won Champion Trophy in category “Coupe De Dames” which was driven by Maj Euthica and Navigated by Capt Tejal. Second team won 1st Runners up trophy in amateur category which was driven by Maj Amit Sangwan and Maj SK Gangwar. This platform gave a true learning to the Teams for driving and navigating in desert terrain. Teams brought laurels to the organisation with their driving skills and zeal towards the sport.